Except that once in a while, some Ad agent either takes a fantastic shower or has a great trip to the bathroom producing an ad that simultaneously makes me laugh and gives me hope. Thank you Samsung. I didn’t realize how big I was smiling at this ad until my cheeks hurt after 60sec. So sweet and cute watching a new dad struggle with swaddling. I loved the independence it showed when dad didn’t require mom to come to his rescue…just You Tube. He’s got this! This nod to father independence comes complete with a fart joke that even a mother can appreciate. How awesome is it that father’s no longer have to feel lost? One of their greatest obsessions, technology, has brought all of the answers they need to their finger tips and made them ridiculously accessible. The best part, I know dads are using it. 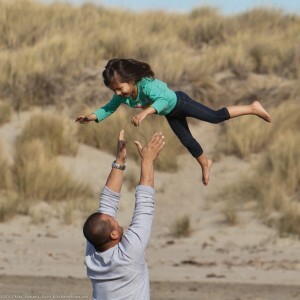 There is a new wave of parenting crashing up on our shore and it’s awesome. Thank you to all of you wonderful and progressive dads out there sharing the work load in this changing society. Thank you for helping to redefine what it means to be a dad, a father. Thank you for being part of the domestic support system. Most of all, Thank You for setting a wonderful example for our sons. I am overwhelmed by the participation in parenting these days by men. In fact, I have noticed they are rolling up their sleeves, donning a smile, and getting in the game while their children are still infants. I see them strolling, marsupial packing, feeding, and generally loving their babies. 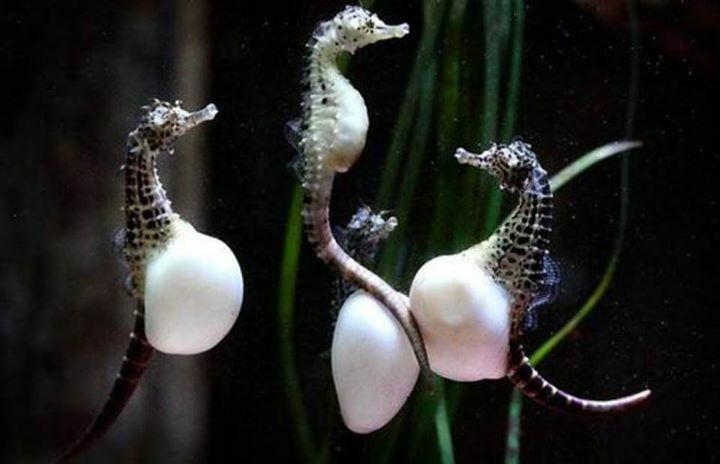 We haven’t reached the point in our evolution where we are expecting you to carry 100-1000 little wee ones like the male seahorse, but as mothers we do appreciate all of the co-parenting that seems to be going on. Happy Father’s Day this weekend. Happy Father’s Day to all of the single parents who are waving both flags. Enjoy the weekend like a BOSS!! !